Can you give us an FSU win as well! We want the ACC to do very well in the key bowls this year…to prove to the college FB world that the ACC is back! Frankly, not to be too greedy, (but while we are asking) how about a win for each ACC bowl team! Especially Syracuse…my team. Asking for every ACC team to win is a bit much. Lets compromise & lets let Miami lose, that’s fair right?! 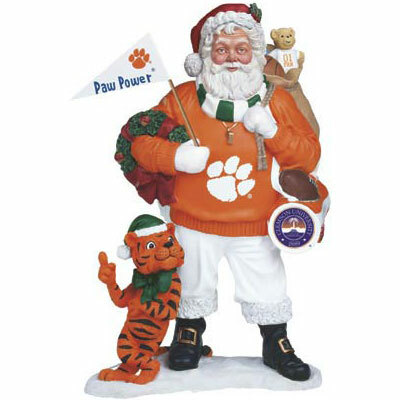 While you are dressing Santa in orange can we put the Tigers in red so at least we State fans won’t feel left out this bowl season? No? It was worth a shot. Anyway, I do hope all our ACC teams win even though Maryland did lose. We’ll just go ahead and let that one go against the Big 10.